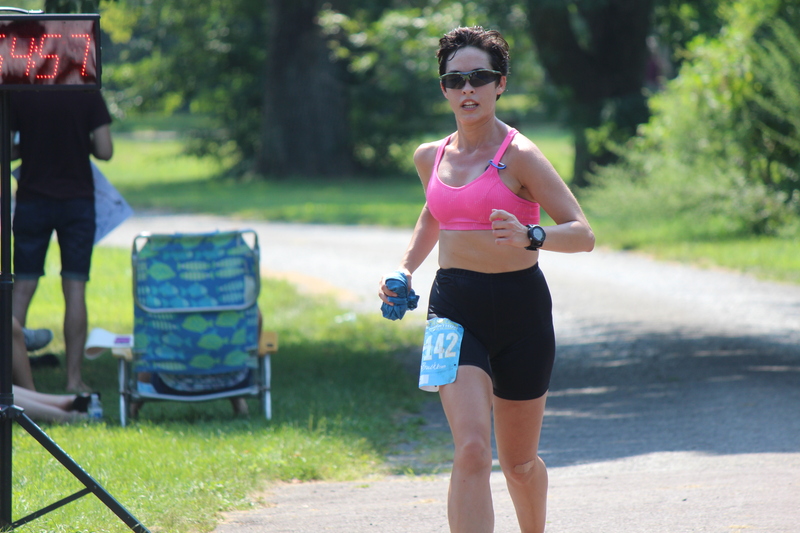 I ran a race on Sunday called Chasing the Unicorn. It’s supposed to be a fast, flat course to help runners achieve a PR or qualify for Boston. The Unicorn is a reference to the Boston logo. My first half was really strong – maybe too strong. I needed to run 8:12 minutes/mile to get to my goal time, and I did 8:02s for the first 6.5 miles. I was still on pace at the half marathon – just around 8:15s, which is close, but going so fast early on may have cost me later. It was really, absurdly hot. You might remember this excellent analysis on what it would take to run a 2-hour marathon (if you haven’t read this, do now). Optimal race temperature for elite athletes is 35*F, and for amateur/middle pack athletes is 45*F. When we started, it was 71*F. When finished, it was 84*F. The humidity in this race, especially in the second half, was really challenging. I probably wasn’t recovered from my ultra two weeks ago. Apparently you need longer than two weeks after a 36-mile race to get back to peak running form. I wasn’t feeling super strong the week leading up to this race – nothing like I’d felt the week leading up to Moosalamoo – so I’d had an idea that Unicorn wasn’t going to be as fast as I’d liked. That said, it’s always important to push hard – no excuses. The results: 3:53 finish, as mentioned. Pretty miserable splits. I came in 85th out of 179 finishers, and 21st out of 58 women, which is surprisingly non-terrible for how terrible my performance was. 23 runners (more than 10% of the field) did not finish, so it was a tough day. I feel good about my overall effort level during this race, even if the results weren’t what I would have liked. This entry was tagged Boston, boston marathon, finishing, marathon, no excuses, pennsylvania, race, race report, running, weather. Bookmark the permalink. Great post! Will be following. CHeck out my blog and follow if you could!